Many tourists visiting Niagara Falls, New York discover that while they're standing on U.S. soil, their smartphone signals are bouncing off Canadian towers, subjecting them to roaming charges. By this fall, leaders on this side of the border believe they'll solve the problem. 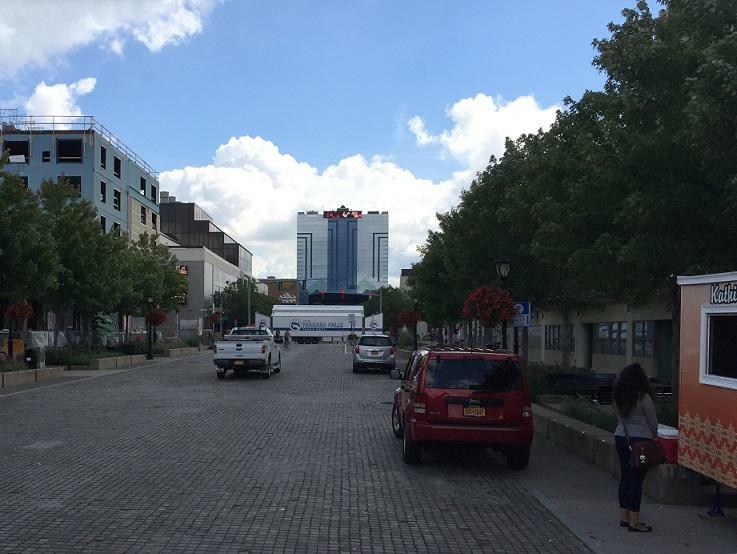 The Niagara Global Tourism Institute has raised $100,000, half of the estimated cost to install public Wi-Fi along three blocks of Old Falls Street, between the Seneca Niagara Casino and Niagara Falls State Park. The Institute recently asked the City of Niagara Falls for help covering the rest. Old Falls Street, as seen while standing a short distance from the entrance to Niagara Falls State Park. Installation of public WiFi is anticipated this fall. Officials say it will help provde a resource for useful tourist information while also sparing visitors from unexpected - and potentially expensive - roaming charges from across the border. Mayor Paul Dyster said all of the funding is now in place, with the city and tourism group Destination Niagara USA committing to the project. "The City Council, at their last meeting, passed a resolution pledging $50,000 of city funds for support of this initiative from our bed tax revenues," Dyster said. The public Wi-Fi is expected to be installed by the fall, in cooperation with the state parks system and Delaware North Companies, which operates facilities within Niagara Falls State Park. Roscoe Naguyt, assistant director of the Niagara Global Tourism Institute, says users will be required to agree to terms and conditions. The purpose is to ensure the Wi-Fi is being used properly. "Basically, people can't sit out here and stream Netflix for hours," he said. "It's used to get information about the area. Content is filtered. If people are looking at websites they shouldn't be looking at, there's a monitoring service where they will actually get removed from the system." The Wi-Fi system will be funded, Naguyt explained, through banner advertising. Mayor Dyster sees the service as a means to provide both tourist and emergency information to people in many languages. 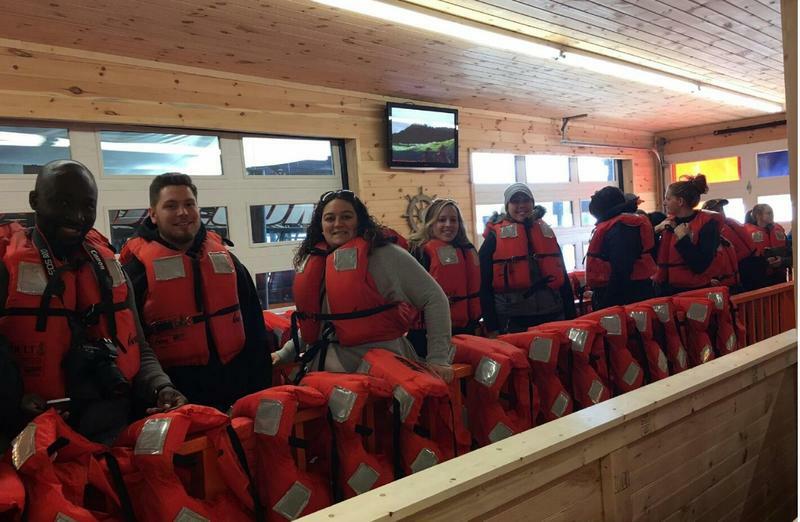 "We have people wandering around downtown Niagara Falls, speaking all different languages, and we have very few mechanisms by which we can alert them," Dyster said. Those tourists may not be getting critical information because, Dyster added, they may leave their smartphones turned off to avoid those Canadian roaming charges. And the bills can add up. Naguyt knows firsthand. "My first three months, it was almost 700 or 800 dollars worth of roaming charges," he said. Has downtown Niagara Falls turned the corner? 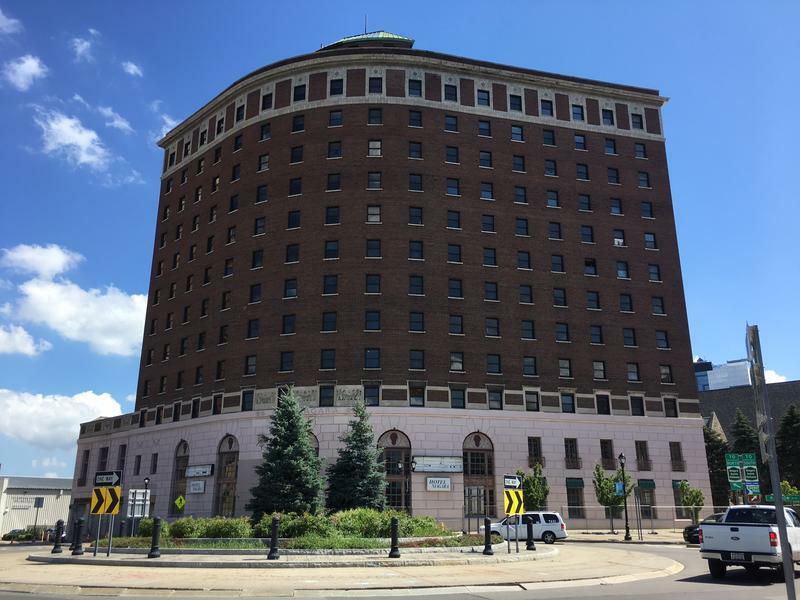 The redevelopment of the long vacant Hotel Niagara is being touted as another sign of Niagara Falls' rebirth. 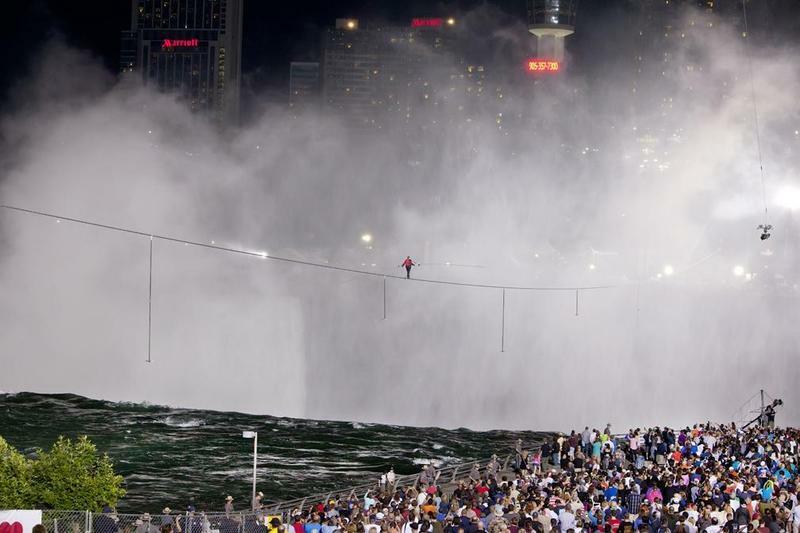 The spotlight will shine on Niagara Falls Thursday morning as Erendira Wallenda, wife of high-wire walker Nik Wallenda, will perform her own stunt high above the Horseshoe Falls. Local tourism leaders are welcoming the attention, which the Wallendas say is what they'd like to bring to the Cataract City. 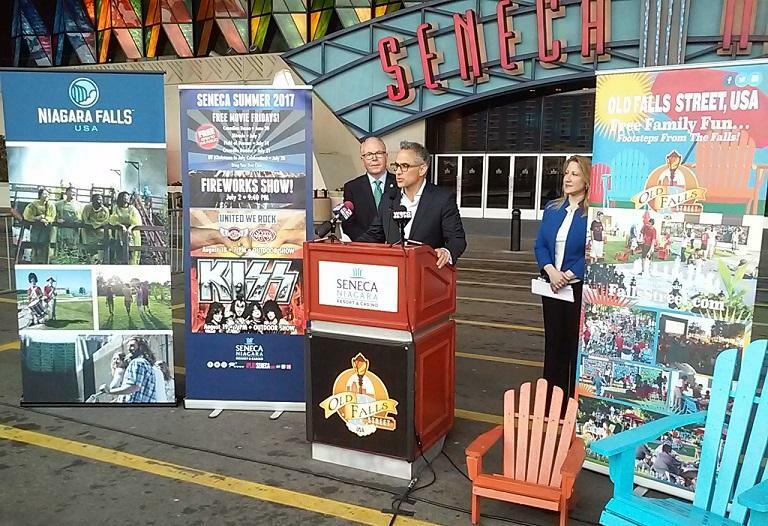 From family-friendly outdoor activities to concerts featuring longtime rock and R&B legends, tourism leaders in Niagara Falls say there will be something for everyone during the summer entertainment season. Officials announced an extensive list of events, which begin this weekend. The visitors to some wineries in Niagara County Wednesday will be a little different from the usual. They are workers from other tourist attractions around the county.